Dr. Doyle is a graduate of Cleveland Chiropractic College in Kansas City, MO where he received a Doctor of Chiropractic degree. He studied and learned acupuncture from the world-famous Dr. Richard Yienne, who founded the Acupuncture Society of America. 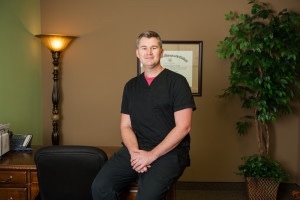 Born and raised in Kansas City, his father is also a chiropractor and an acupuncturist; he has been teaching the art to Dr. Doyle since he was born. Married with three children, Dr. Doyle is an active member in his local church. 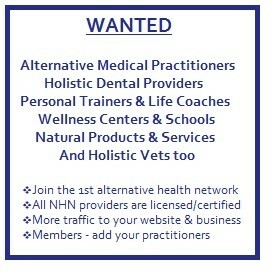 Looking for an experienced Lake Norman chiropractor and acupuncturist? Visit our modern facility, where we employ the latest innovative technique, referred to as “specific prone,” a gentle, safe and effective method that delivers outstanding results. Our friendly, knowledgeable staff will get you started on your journey toward better physical health. Take the first step by scheduling a complimentary, no-obligation consultation. Call (704) 947-7272 or use our simple online contact form. Want to meet Dr. Doyle and our staff? Just drop by! We look forward to meeting you.